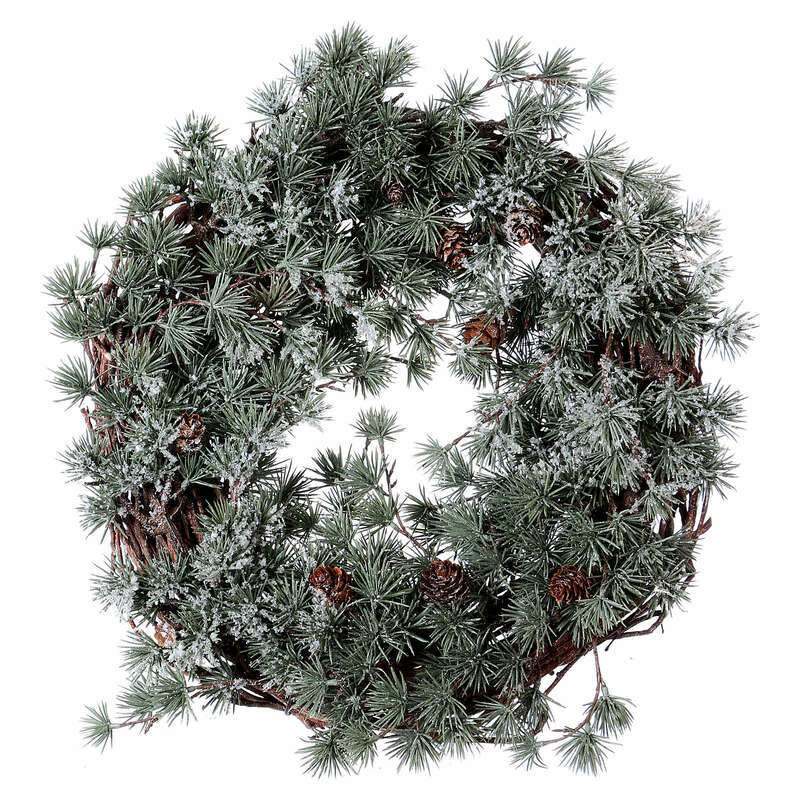 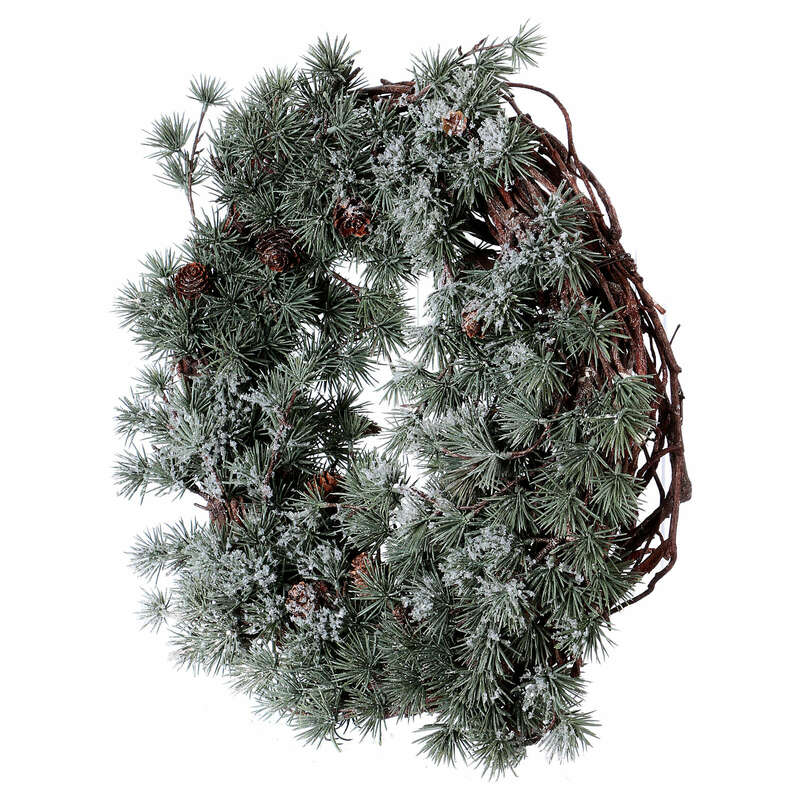 Advent wreath with frozen larch, diameter 45 cm. 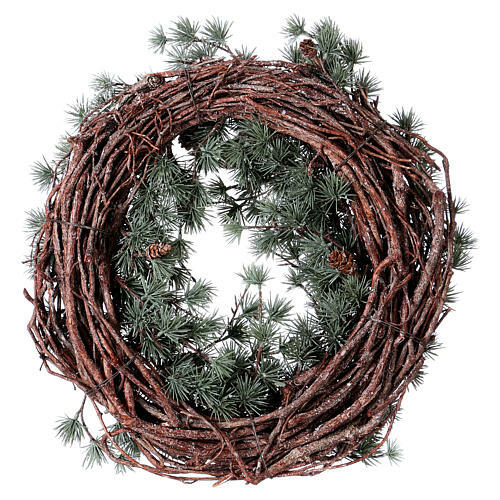 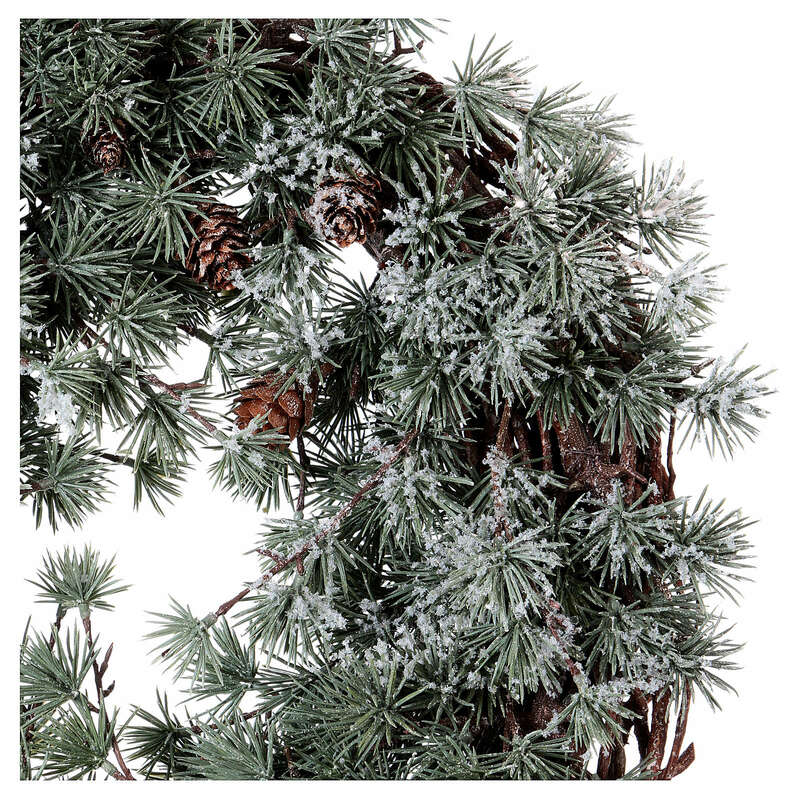 Advent wreath in fake frozen larch with real pine cones and wooden base. It is possible to add spherical or cylindrical candles to use it as and advent wreath or it can be hanged to the wall.